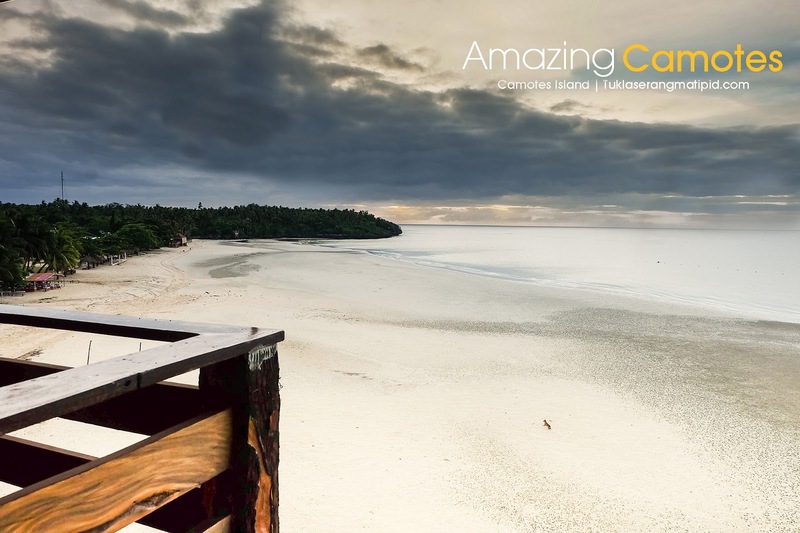 Just 2 hours away from mainland Cebu, Camotes Island is a remote hideaway waiting to be discovered. Well from the word itself you might wonder why Camotes? Camote means sweet potatoes but we Filipinos spelled it as kamote. The most basic and feasible guess that pops in my mind is that...maybe the predominant crop on the island is Kamote. It turns out my guess was right but during Spanish times.When the Spanish came they asked some natives farming about the name of the island, the natives replied "Camotes" thinking they were asked what they are harvesting. Today, the predominant industries on the Camotes Islands are farming (including corn, rice, pigs, chicken and cattle), fishing and tourism. 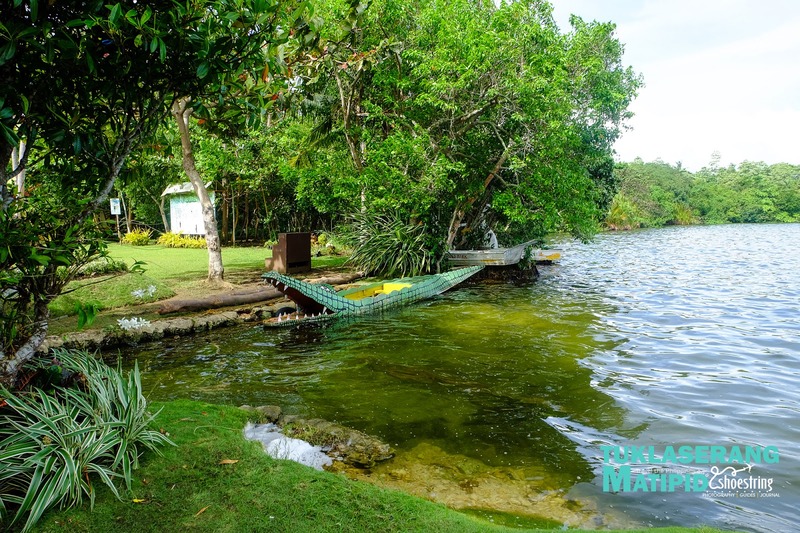 The 3 main islands that make up Camotes Island are Poro, Pacijan and Ponson Island. To reach Camotes, one has to catch a bus from North bus terminal in Cebu to Danao Port then a 2 hour ferry ride to Consuelo ( Camotes). The 2 hour ferry ride cost around Php 180 ( Open air) and Php 200 for tourist seating with TV and A/C lounge. You can also get there by V-Hire if you're in into squeezing and much faster than the bus. However, be aware that they squeeze up to 18 people into a van designed for about 14 for Php 50.00/ person. If you want to travel in comfort, you can take a taxi instead. The rate may range from 600 pesos (about usd $14) to 1,000 pesos one way. You can view the ferry schedules here. Yes, you read it right Pier 1. The pier is just a ride away from downtown Cebu. You can check the schedules here. More expensive than the ferry ride but with all the cost ( Taxi to Northbus + bus fare + ferry Php 200) I think it will save you more time and hassle free. 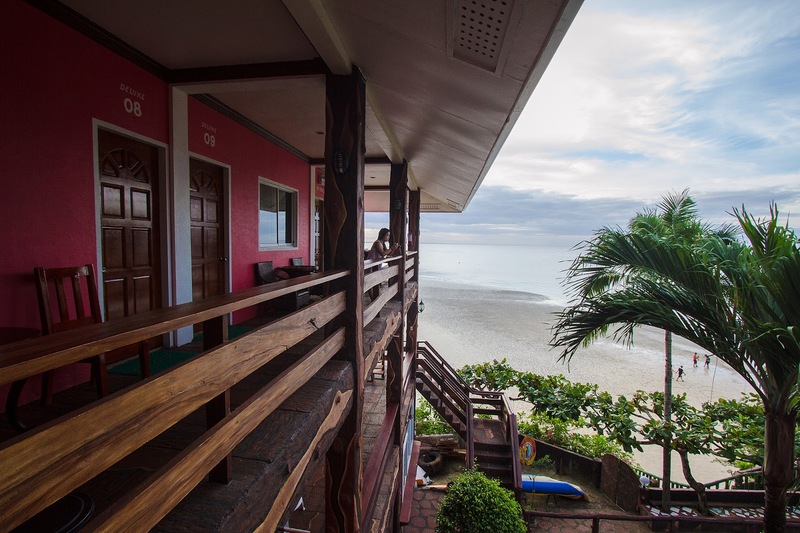 We booked our stay at Santiago Bay Resort, the resort is known for its great overlooking view of Santiago Beach and great customer service. The check-in process was fast and the resort staff were very friendly and kind. 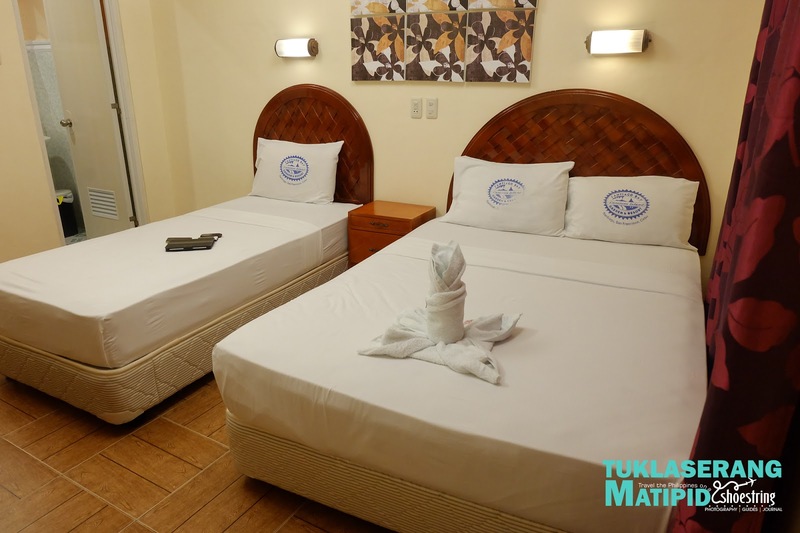 I'm not sure why they gave us the triple room because we only paid Php 1,500 for a double. The room is pretty basic but clean, well lit, cable tv, comfy bed and quiet. After putting our things in the spacious closet, we went to the resto to have our dinner before hitting the bed. 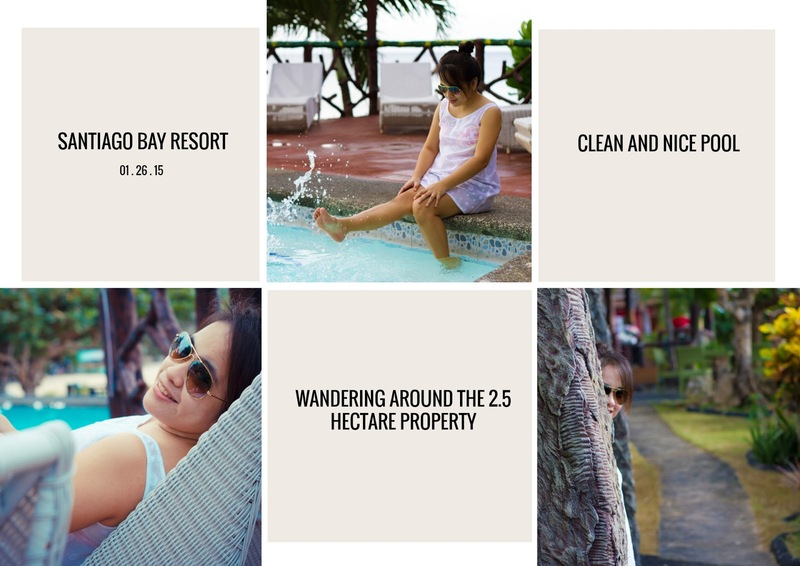 You can book to Santiago Bay Resort by clicking here. The white sand beach stretches for almost a kilometer. 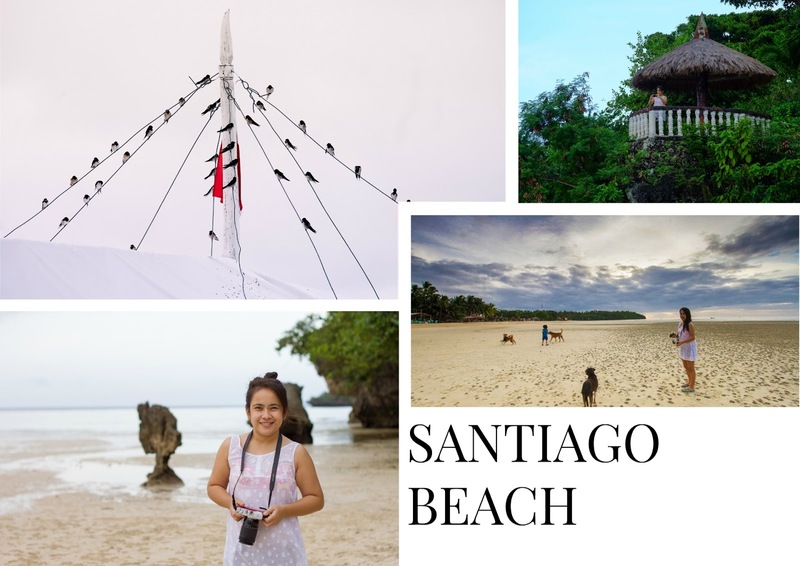 The public beach is also shared by Mangodlong Rock Resort and Coco Grove Nature Resort which is a sister resort of Santiago Bay Garden and Resort. Guests from either resort can use the beach facilities of the other. I didn't have time to dip into the pool or the ocean, but both looked quite inviting. Our habal-habal driver and tour guide showed up in time to pick us up for a quick tour around the island. We found him to be very informative and knowledgeable with all the tourist spots around Camotes. I also told him that we have to be in the resort at 12:00 noon because we still have to travel back to Cebu and catch a 7:00 pm flight to Manila. After agreeing on which tourist spots to visit, we whisked away and cruise along a farm dominated area. 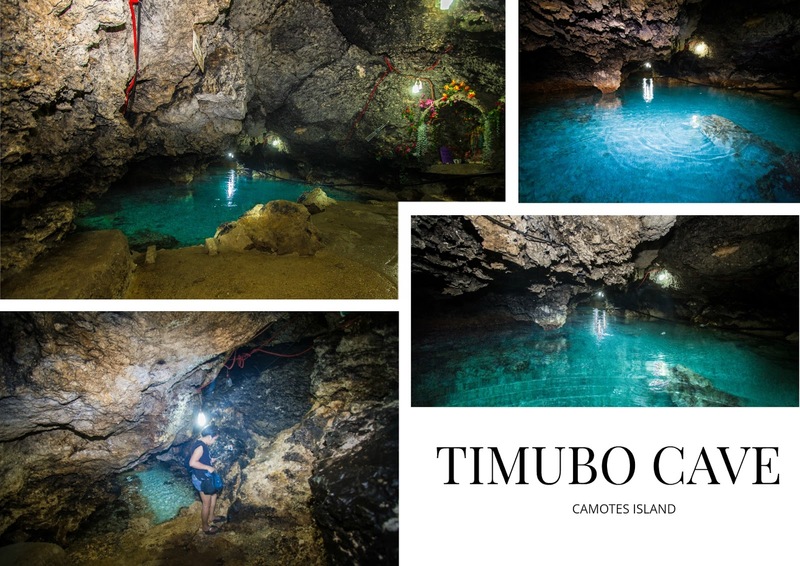 We first visited Timubo Cave, I heard a lot about this cave and I want to experience the underground freshwater pool that goes as deep as 5 feet. You will have to descend for almost 70 meters to reach the entrance of the underwater pool. 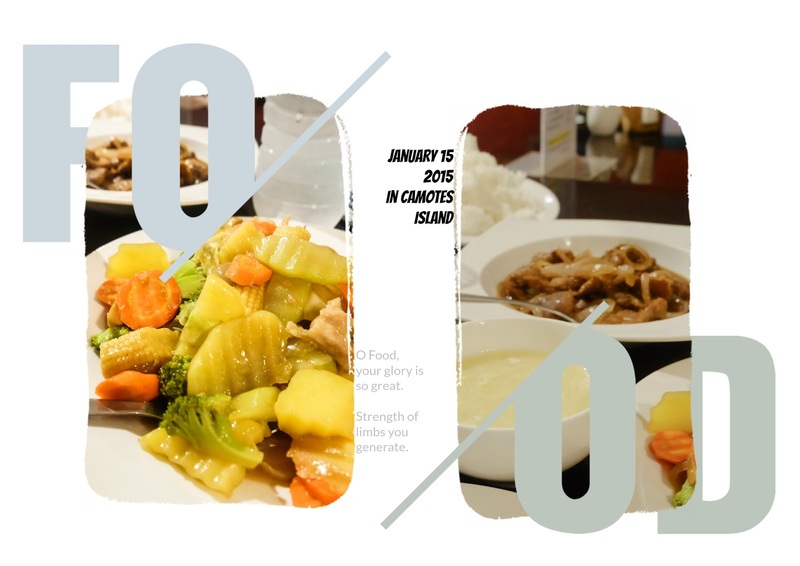 Entrance fee is Php 25.00 ( below $) per person. We weave our way through the cave in the dim glow of generator-lit lamps, until we hit a small opening that will only fit for one person. Quite scary because we were the only visitors around and all I could hear is the echo of water dripping sound nearby. If you're claustrophobic I strongly suggest not to push through. We walked through the knee-deep water of the cave before you reach the larger main pool where you can enjoy swimming or just relaxing the refreshing cool water. I was surprised to see a Virgin Mary Grotto inside. The underground pool is crystal clear, cold and clean but quite unsure where the water came from. By the way there is a changing room close to the reception area if you plan to a dip. On our way back we asked the caretaker about the water source and he said, the water recharges during high tide and most of the cave system is unexplored because of tight passages. Amazing cave! 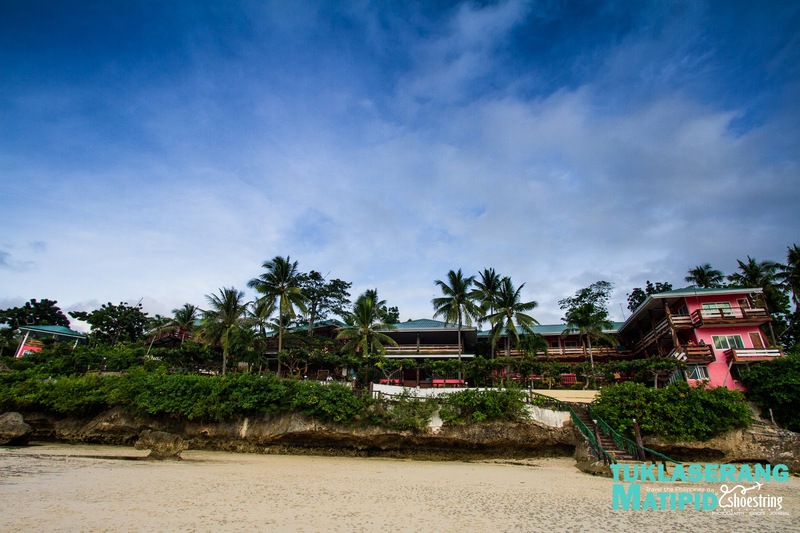 a must visit when you're in Camotes Island. After a few minutes, we were off to our our next destination which is the biggest lake in Cebu, Lake Danao! It's a freshwater lake located in the northern part of Pacijan Island and slowly gaining popularity because of the lake. 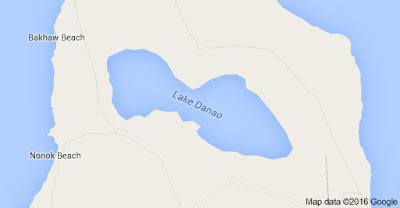 From the main highway, we turn right and passed through the hinterlands that surrounds the lake. Still paved road but we encountered few potholes along the way which needs minor road repairs. Thirty minutes later we arrived in the lake and greeted by Brian. 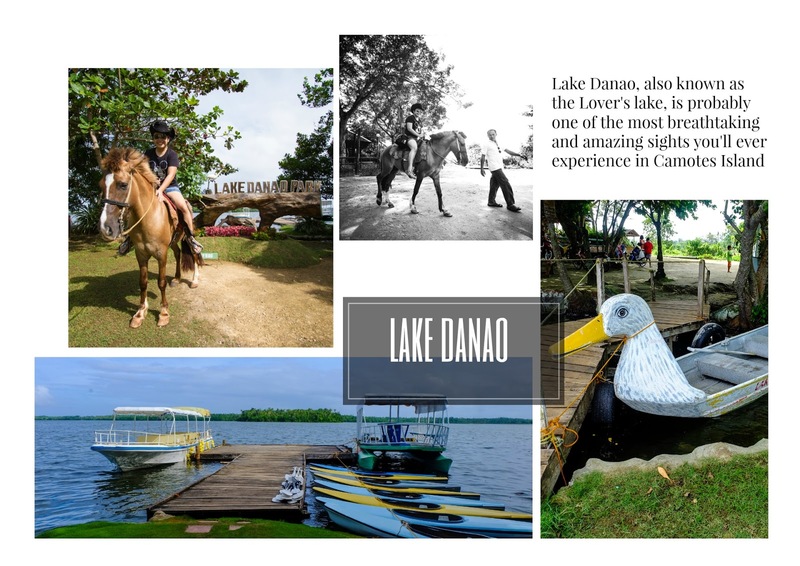 He works for Lake Danao and volunteered to tour us around. As you can see, the lake is stagnant and flanked by mangrove trees around its banks. Our habal-habal driver told us that locals are afraid of what lurks deep in the water. Maybe the picture below can help your imagination :-) . Just kidding! It's a crocodile paddle boat. There are cottages around the pool that you can rent. Quite impress about the cleanliness of the pool. 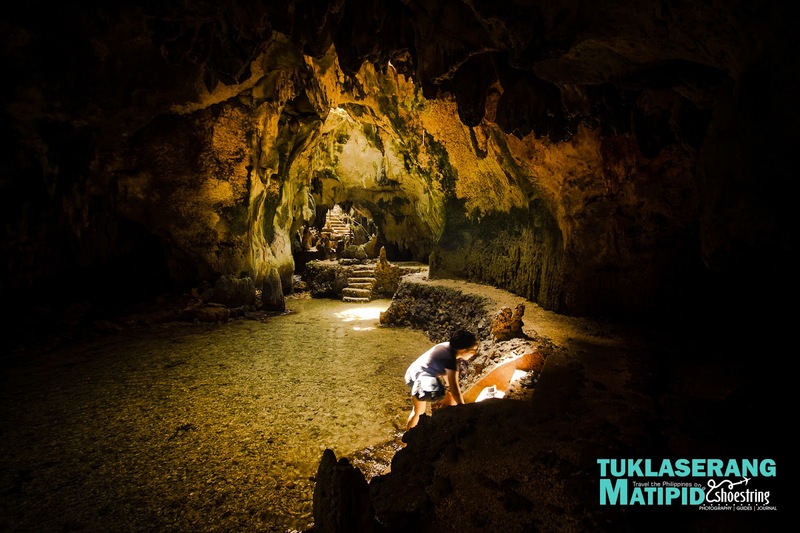 After a quick tour around the Lake, we traveled North east to the island of Poro to visit Bukilat Cave. 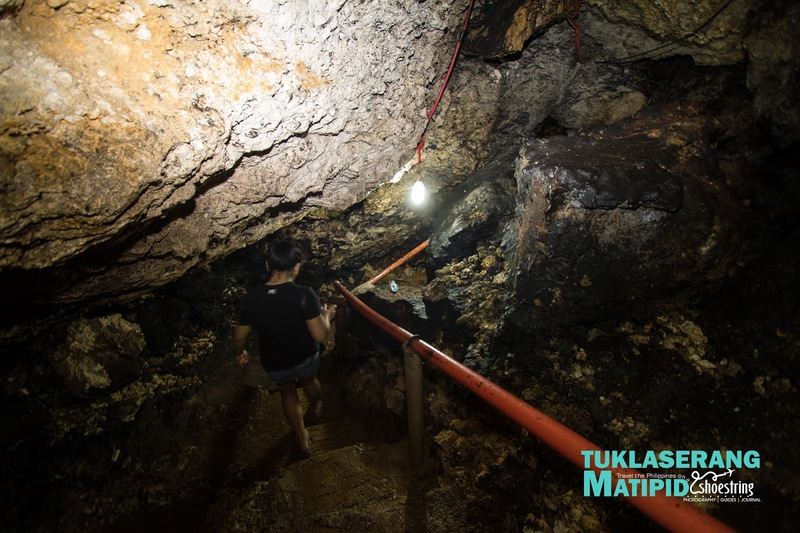 One of the grandest and the most visited cave in Camotes. It was named after the founder Bukilat. and was used as a shelter from the Japanese during World War II. The cave complex have limestone rocks forming like gateway arcs with 6 skylight chambers that transforms the cavern into a magical place. Amazing stalagmites and stalactites, as well as an icy-cold pool believed to originate from an underground spring. The pool inside is huge enough for guests to dip in with its hip and knee-deep water levels. The water is quite cool, refreshing and many believe that the water is good for the health. Guest are not allowed to , drink liquors, do vandalism (including carving or scratching the walls, stones, etc inside the cave with sharp objects or anything). You are also not allowed to smoke inside as it causes mineral reactions to the elements inside, aside from causing pollution inside this pristine space. Overall, our Camotes getaway ended well . Although we had to cut our trip short because of the cancelled ferry service but still it was great. 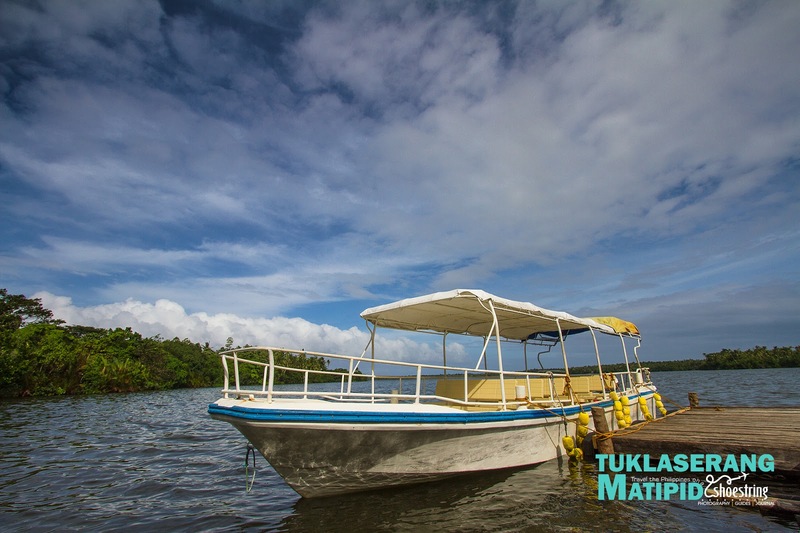 You can follow my journey here which I describe as a "buwis buhay" bangka( outrigger) ride from Camotes Island to Merida, Leyte. 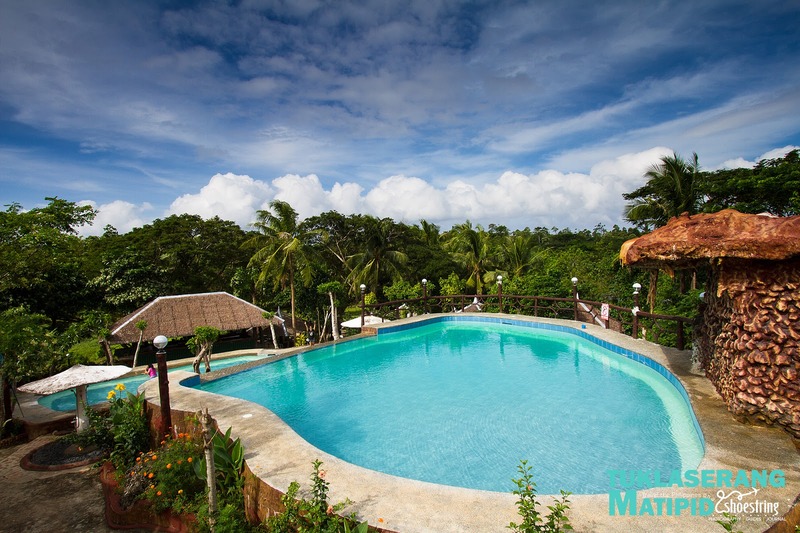 Wow, so much destination in Camotes Island. Thanks for the tips. We're planning for a vacation there this June. I love reading your blog. Very informative! Keep it up! Awesome photos! I've never been to Camotes and I'm looking forward to visit it this year. Thanks for your informative post. You may also learn more about Cebu with www.talkaboutcebu.com Cheers! Adding this to my travel queue. Can't wait to visit this year! 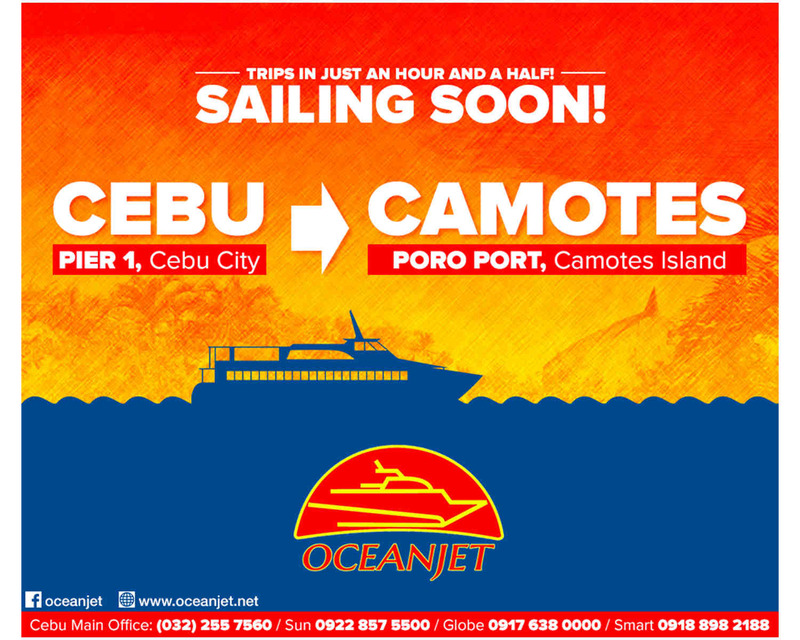 wow, great tips for my camotes travel this oct. Thanks!